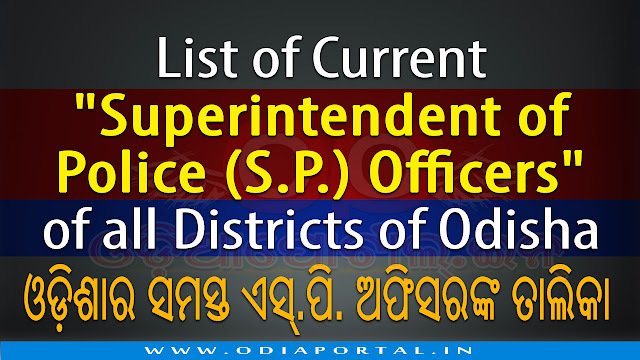 The following is the current and updated list of Superintendent of Police (S.P.) Officers of all 30 districts of Odisha. Last Updated: 23/06/2017.